Dennis Cheeseman took this photo and wants to know if it's a Sharpie or a Coop. He's thinking Sharpie. What do you think? 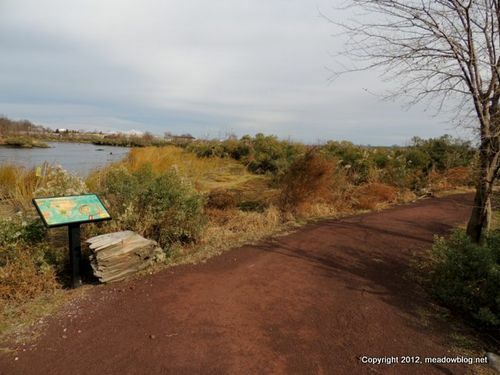 Our Third-Tuesday-of-the-Month Walk will be at the recently reopened Mill Creek Marsh next Tuesday at 10 a.m. It will be great to go birding at the site instead of cleaning up storm damage and debris there. 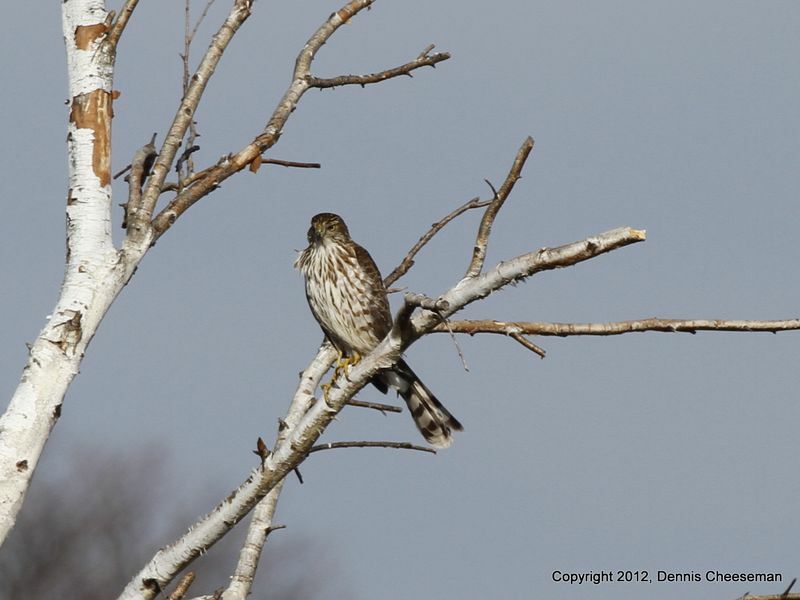 We should see plenty of Green-winged Teal, Northern Shovelers and other ducks — plus a raptor or two. Mill Creek is a beautiful place any time of year, a wonderful marsh with the Manhattan skyline in the distance.